This simple utility tackles one oft-neglected chore. I’ve been ignoring an update from Oracle’s Virtual Box for a while now. The program doesn’t do automatic updating, and the only time I remember to update it is when I open the program. Also known as: exactly the time when I least want to do a manual update. It’s not just Virtual Box. I’ve got nearly a dozen programs on my PC I need to update that I just didn’t know about or was too lazy to check. That’s why I recently decided to get a program to monitor my other programs for updates: FileHippo App Manager. Here’s how it works. All you have to do is download and install the App Manager from File Hippo. Once that’s done, the program will automatically start and tell you how many updates you need. Then you just click Download & Run on each entry to update your programs. Unfortunately, App Manager doesn’t have an “update all” one-click solution, so you’ll have to update your programs one at a time. If App Manager finds any potential updates that are a beta version (i.e. not the official stable build), it will add a red flag letting you know that. For those of you who don’t want to update to beta versions, click on the Display Options drop-down menu on the upper-right side. Then uncheck the option that says Include Beta Updates. 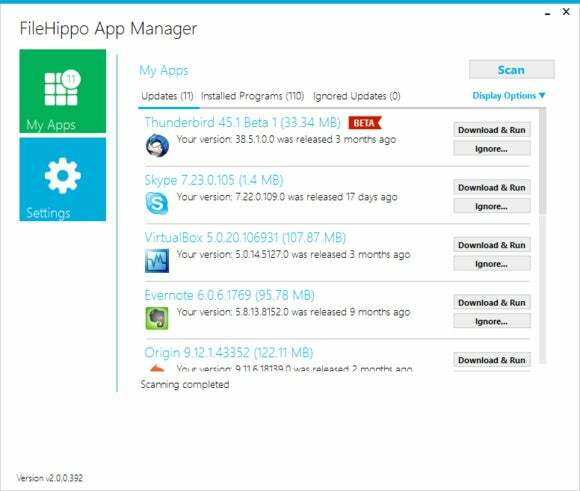 FileHippo says App Manager will find updates for most programs on your PC, but there may be the odd one or two that it doesn’t cover. 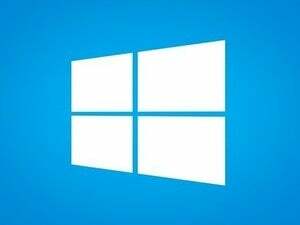 By default, App Manager is designed to boot when your PC does and to scan your PC for updates every day at 9 a.m. For me, that’s overkill. I like to have as few startup programs as possible. I’d rather do a manual scan once a week instead (what? I’ll do it. I put a reminder in Cortana and everything). If you don’t want App Manager to start at boot, click on the Settings tile on the left side of the program’s interface. Then on the settings screen, click on Background Scanning. 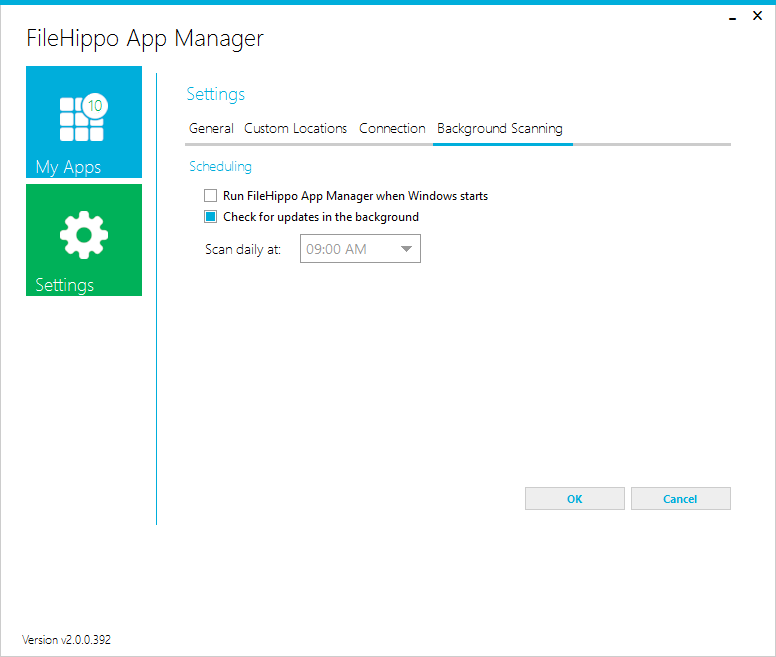 Next uncheck the box that says Run FileHippo App Manager when Windows starts and then click OK. If you do want App Manager to start when your PC does, this is also where you can change the time of your daily scan. Just remember to click OK after you’ve made the change. Those are the basics of FileHippo App Manager. There are a few advanced-user features such as telling the utility to search for programs in atypical spots on your PC. If that interests you, you’ll find the option under Custom Locations on the settings screen. For most users, however, the default setup will work just fine. If you don’t allow App Manager to start at boot just remember to do a manual scan every now and then to find outdated programs.